Gardens and landscapes possess great potential to nourish, strengthen, and treat the tissues of the respiratory and digestive systems. This class will discuss herbal actions helpful for these tissues and meet/taste the herbs that have them. 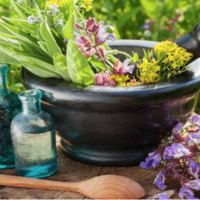 We will also discuss how to prepare and administer herbs from the garden for self care and treatment of common maladies of these organ systems.